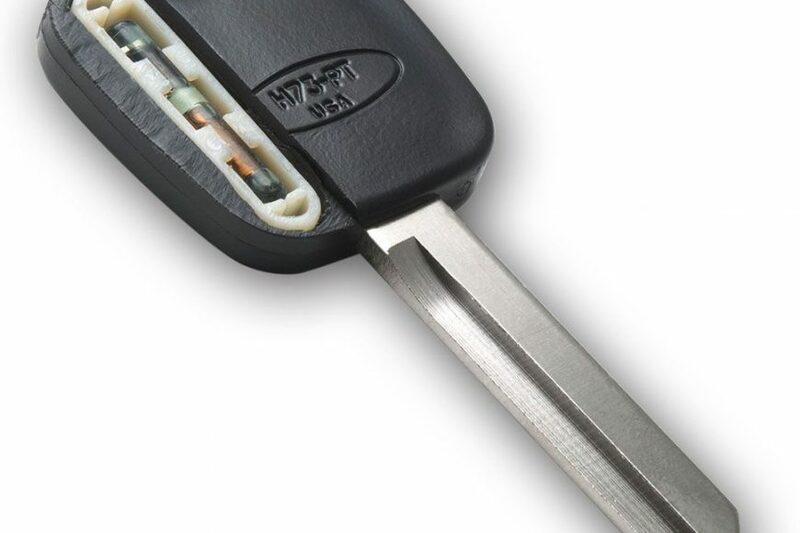 Many modern automobiles (especially the more expensive models) have keys with trans ponders hidden inside the plastic head of the key. The owner of the car may not even be aware that the transponder is there because there are no buttons to press. When a key is inserted into the ignition lock cylinder and turned, the car’s computer sends a radio signal to the transponder. Unless the transponder replies with a valid code, the computer will not allow the engine to be started. 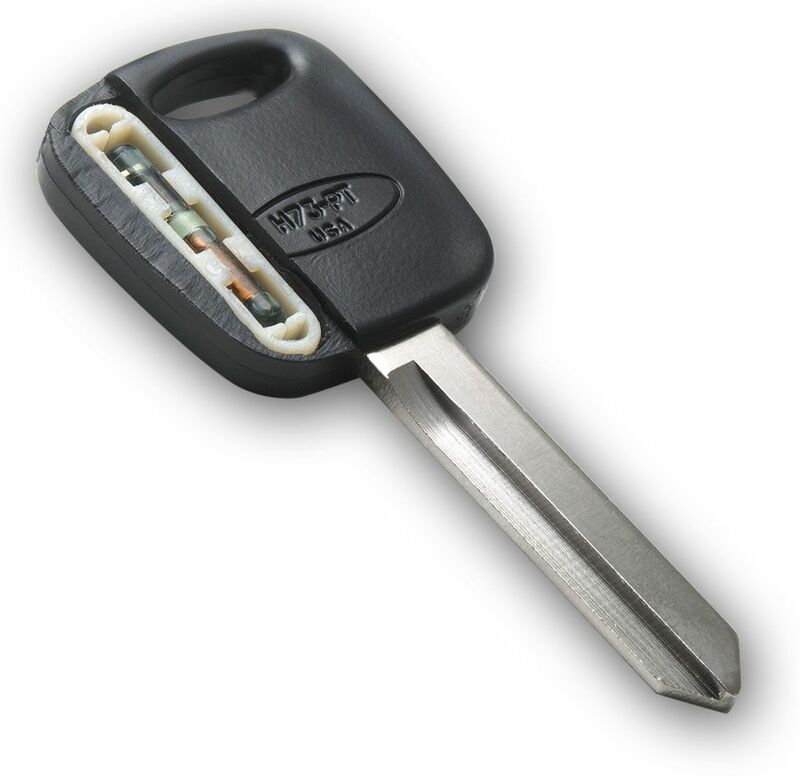 Most transponder keys have no battery; they are energized by the radio signal itself. 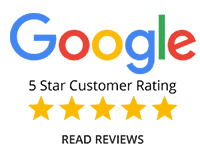 Transponder keys require programming to be able to work and this could be done by the dealer or a automotive locksmith using a diagnostic tool. If a transponder has not been programmed or the transponder reader around the ignition is malfunctioning the key may not start the car. 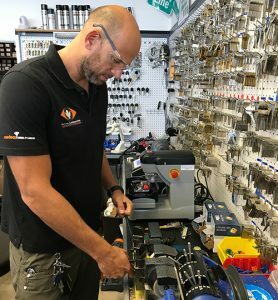 Transponder keys cut and programmed on site by Smiley Locksmith.